Costa Rica’s physical size is relatively small, however, this country (with no military) seems to have an endless supply of places for visitors and travelers to experience. With 912 miles of coast and multiple mountain ranges, determining where to go in Costa Rica can be an endless quest. There truly is something and somewhere for everyone, and our Costa Rica itineraries will ensure that you experience the trip of a lifetime. The country of Costa Rica is about the size of the state of West Virginia. Costa Rica is almost 20,000 square miles in size and ranges from 0 – 13,628 feet above sea level. The main draw to Costa Rica is the endless & scenic coastline and beaches, which reach both the Pacific and the Atlantic Oceans. These are some of the most majestic and pristine beaches in Central America and the main draw to this country (perfect for honeymoon vacations and destination weddings in Costa Rica). In this article, however, we are going to talk about a lesser-known geographic feature of Costa Rica that is just a beautiful and fascinating…the mountains and volcanoes! These are remarkable and natural destinations are usually the best places to go in Costa Rica to experience the country’s unique natural habitat. Technically there are 5 mountain ranges in Costa Rica, each range has distinctive features and volcanoes. This range is famous for its four large volcanoes: Volcan Poás, Barva, Irazú and Turrialba. In recent years, Volcan Turrialba has shown a great deal of change and become quite active, even to the point of evacuating various communities close to the crater. The area of Turrialba is very popular for the white-water paddling. Adventurers from around the world come here to test these waters. Mountain biking and road cycling are also gaining more and more popularity in these mountains. The highest volcano in this range is Volcan Irazú at 3,432 m. The Central Range continues the Continental Divide, stretching east of Cordillera de Tilarán. This range is home to the famous Volcan Arenal. This “cordillera” or “mountain range” is part of the Continental Divide and located to the east of Lake Arenal. This range collides with the Cordillera Central which is further east. It is located in the Abangares district of the province of Guanacaste. At the edge of this mountain range is the Monteverde cloud forest preserve, which a major ecotourism destination. The northernmost mountain range is located in Guanacaste, near the border with Nicaragua. The Guanacaste Range forms part of the southern region of the Continental Divide. There are three popular volcanoes in this region: Miravalles Volcano (2,028 m), Orosí Volcano (1,659 m), Rincón de la Vieja Volcano (1,916 m). This area is often visited by those staying on the Pacific Northwest Coast of Costa Rica. The accessibility of these mountains from the beach allows for visitors to access these parks & mountains for a short overnight trip or even a day tour. The Rincón de la Vieja region is gaining more and more popularity for the plethora of adventures that are offered. Located in the southern part of the country, the Talamanca Range is included in the La Amistad International Park. This is a large park shared between Costa Rica and Panama. Costa Rica’s highest peaks lie in this mountain range: the Cerro Chirripó. At 3,820 m this is a popular adventure for visitors. The hike to the peak is not “a walk in the park”. It is a very challenging hike which offers visitors incredible views from the top. The Cerro Kamuk is the highest peak in Panama. Located inland between the two major international airports is a very popular area call Arenal. This area is known for the volcano (Volcan Arenal), which until very recently one could see lava flowing down the sides of it on a clear evening. This area of the country is known for the natural geothermal hot springs, which exist and have been transformed into various eco-resorts. It is also referred to as the “Adventure Capital” of Costa Rica and is a great alternative to the popular beach destinations that Costa Rica is known for. There is a large lake in the area called Lake Arenal and the volcanoes and mountains that surround it are filled with numerous rivers to raft, rainforests to zip-line through, waterfalls to rappel and trails to hike or horseback ride (popular attractions for Costa Rica family vacations)! A common combo destination with Arenal and the town of La Fortuna is the cloud forest region of Monteverde, which was originally settled by Quakers that traveled by land from the United to seek a simpler way of life. Both areas are teeming with wildlife and have numerous protected parks and reserves to explore. The zip line & canopy tours here are some of the best in the country and the environment is definitely unique to the country of Costa Rica. The Poas Volcano is one of the most popular destinations in Costa Rica, for locals and visitors, because of how easy it is to access it but most importantly how impressive it is. Poás has one of the largest craters in the world, with a diameter of over 1300m (4300 feet) and a bottom that is usually filled with hot and dangerously acid water at an altitude of 2700m (8600 feet), surrounded by a lush cloud forest filled wildlife, specially curious birds that accompany you along the trail. It’s most recent eruption was early 2017, which forced authorities to close the park for over a year. It is open now to visitors but under strict security measures. Other big eruptions that have marked Poás Volcano’s recent history were in 1910 and mid-1950s. This is the easiest volcano one can access in Costa Rica. To reach the crater one will almost drive to it, there is even a public bus with the last stop at the national park’s parking lot. Once you are at the parking lot, all you have to do is walk for a couple of hundred meters to reach the edge of the crater, and then look into the incredible but dangerous turquois water that fills the bottom. The Irazú Volcano overlooks the city of Cartago, and it hosts in its hills the production of a lot of the legumes, potatoes, and onions that Costa Ricans eat. An area that is becoming more and more popular is the Turrialba Valley. This area has always been a paddler’s paradise, with the Pacuare, Reventazon & Pejibaye Rivers, but with the recent volcanic activity of Volcan Turrialba, more and more people are visiting this under-discovered area, east of San Jose on the way to Limon and Caribbean Coast. La Ruta, a multi-day mountain bike stage race has brought popularity to the sport of biking and cycling to the area. You will find many cyclists on any given day in and around the mountains of Turrialba. Rincon de la Vieja is another area in Guanacaste that is gaining more and attention each year. Only about 1-2 hours from the Pacific Northwest Coast, this area of the country is great for the beach dweller looking to escape to the highlands for a day tour in Costa Rica. Rincon de la Vieja offers visitors an amazing, yet hard-to-access National Park where one can enjoy an impressive dry forest and geothermal features (like bubbling mud) along with various adventure centers where guests can float down rivers in inner tubes, do a zip-line tour or relax in the natural geothermal hot springs. Note: This article was originally published on 2/7/2013 and updated on 1/22/2019. Are you ready to see mountains and volcanoes in Costa Rica as you’ve never imagined? 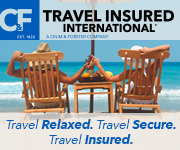 Contact us by using the form below to inquire about planning a trip to Costa Rica.